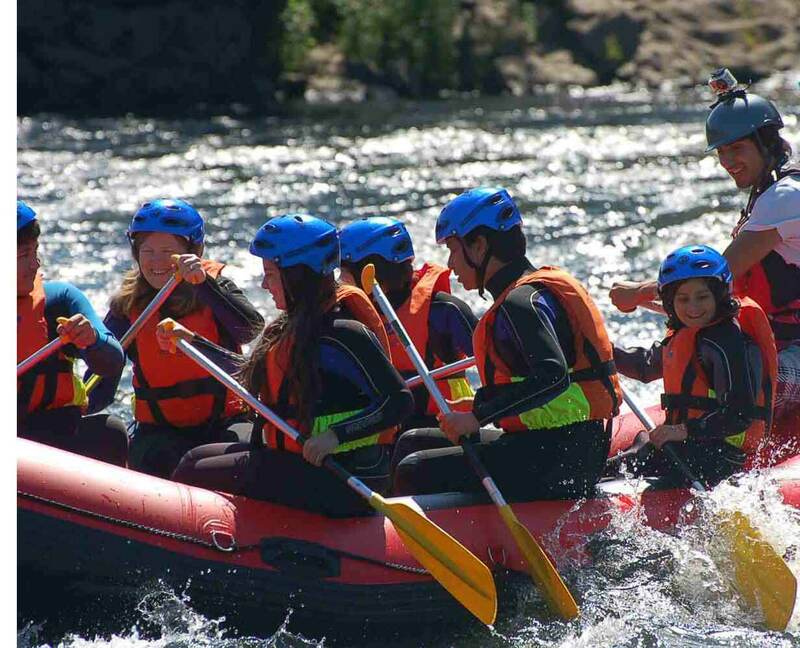 The activity will be placed in La Lomba (Arbo,Pontevedra) and it will be consisting in a 2 hours of exhilarating white water activity on the Miño river it is suitable for beginners, but is a challenge that will also satisfy the more experienced. In fact, this part of the Miño is the setting for national white water rafting competitions such as the Spanish Championship. Our specialists recommend summer and autumn for descent of this river. Take the first step in the wonderful waves of the Miño River. A trip that combines a beautiful natural scenery and action, to be enjoyed by anyone. 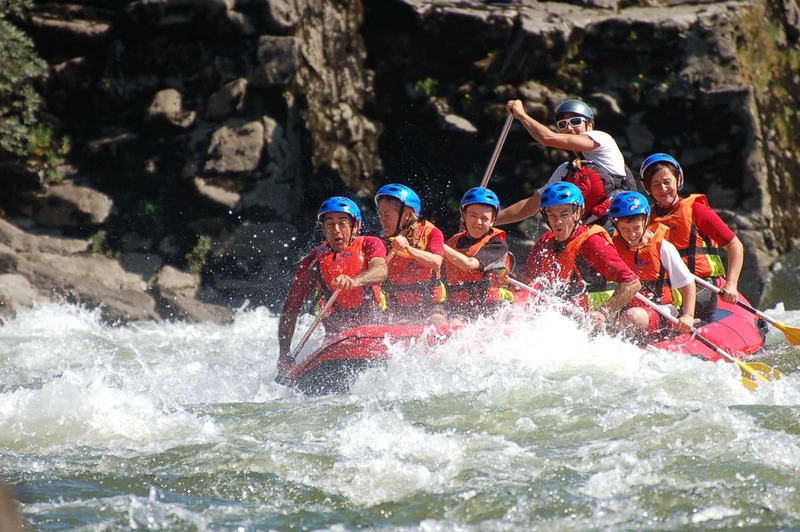 Feel the adrenaline of a different experience, descending through fantastic rapids. You´ll enjoy kilometers of pure entertainment. Cool naturally on this area with a splash in the face with the best White water Rafting, surf along the Miño River – natural border line whith Portugal – or just enjoy the sun and river beaches with a PaddleinSpain Adventure. At the beginning your instructor will give you a briefing on safety and Rafting techniques. Once it will be clear, we will begin the descent. It will be done by you and your instructor, who will guide the boat and will be with you all time at the Rafting boat. He will give you instructions, which you must follow in order to paddle correctly and pick up speed the boat. 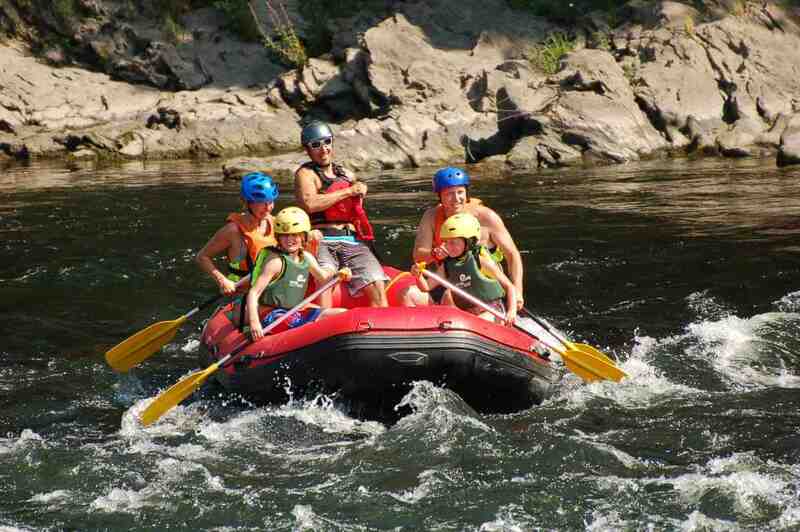 Once the activity begins, you will enjoy rapids, currents, dips, jumps, capsizes and, overall, lot of fun. While we are descending, we also learn about native flora and fauna. So, we will spend a great time in a beautiful environment. Weather conditions can be affecting this activity. Local transfers from our facilities to the starting point and back to our facilites.